Eschew the tourist crowds and head to Room Escape Games and Kansallisgalleria. 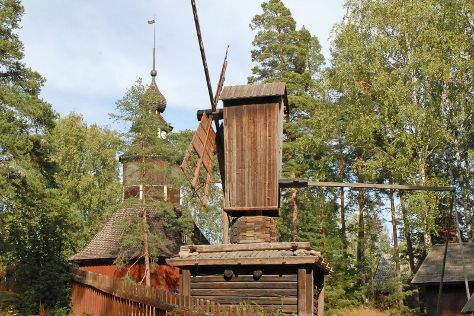 Change things up with these side-trips from Helsinki: Ankkapurha Culture Park (in Kouvola) and Kotka (Katariina Seaside Park, Santalahti Nature Trail, & more). Pack the 26th (Sun) with family-friendly diversions at Linnanmaki Amusement Park. And it doesn't end there: take an in-depth tour of Seurasaari Island and Open-Air Museum, relax and rejuvenate at some of the top local wellness centers, browse the eclectic array of goods at Hakaniemi Market, and appreciate the history behind Sibelius Monument. To see maps, reviews, and more tourist information, use the Helsinki trip maker tool . If you are flying in from Malaysia, the closest major airport is Helsinki Vantaa Airport. May in Helsinki sees daily highs of 18°C and lows of 7°C at night. Cap off your sightseeing on the 29th (Wed) early enough to travel back home.